Thinking of how to write a status report? Looking for the world's most simple status report template? You could start using a status report tool like Weekdone, but the basics apply for other methods as well. 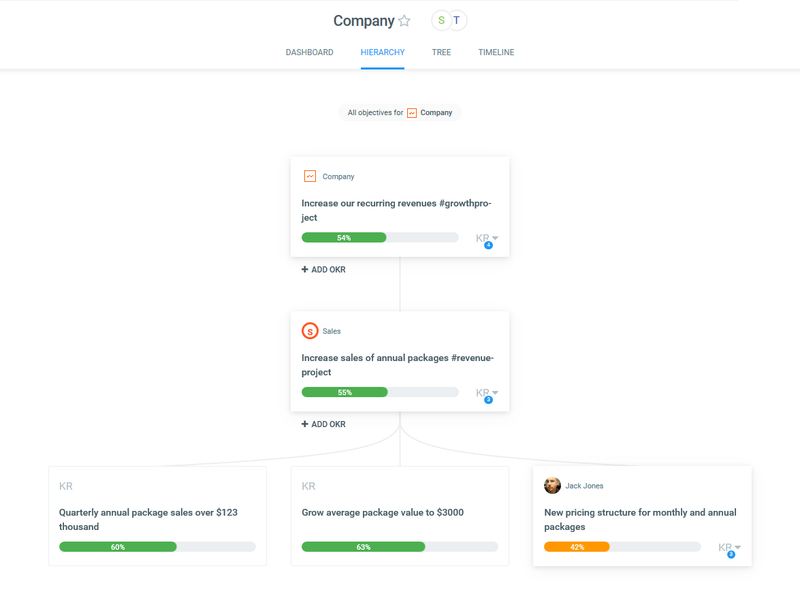 So, to get started, while there are tons of different uses for a weekly status report, there is one thing in common with all of them. 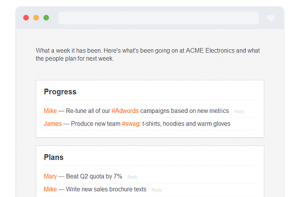 Let's look at how to create a weekly status report for personal, team, or company use. You can use it to report to your boss (or vice-versa) or get an employee report back from your team members. You should really use status reports regularly (either weekly or monthly). Whatever you are reporting as a status report should always answer one key question: "where are we at now?" You can always add additional categories to Progress, Plans, and Problems. In sales departments, for example, it may be useful to add a section for key leads and customer meetings. In marketing departments, adding a section for key events may be a good addition to the other three categories. On the other hand, in development, you could list proposed feature ideas and customer feedback as well. So, you need an example to get your feet in the water and to get started properly. Entirely understandable. However, you really only need the three words: Progress, Plans, and Problems. Your sample template couldn't be easier. Add those PPP headings to create your lists, and under each word, bullet point the items that fall under each category. Use whatever tool you're comfortable with. Some examples are e-mail, Google Docs, or Excel. Alternatively, you could seek out a specialized tool, like Weekdone, to help you get started. 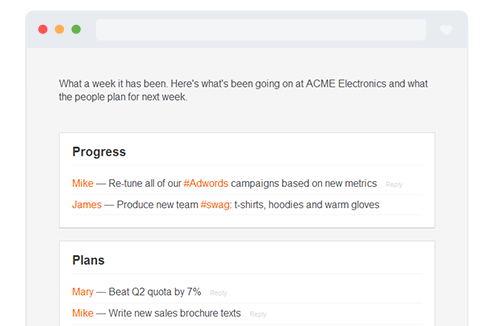 Here's an example of a weekly team status report generated by Weekdone's weekly reporting tool. An interesting component of Weekdone is that it can compile personal reports into a company report. Though a team dashboard and weekly progress charts are added, the core of Weekdone's effectiveness still comes down to the PPP status report process. The preferred length and amount of status reports should be roughly the same. No more than 5-7 items under each category. When adding items, make sure to keep in mind how others will read it. You're not writing for yourself. Don’t use 1-2 word tasks like you would in a task manager. Use complete sentences with some commentary or background. 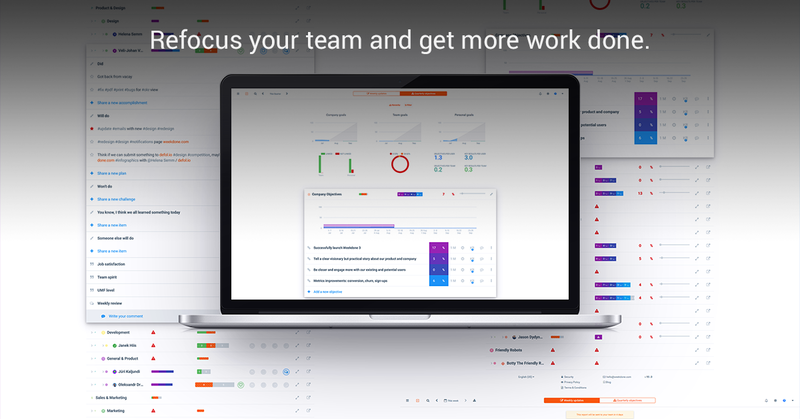 The goal is to help your coworkers learn and understand from your updates. Good wording is the key to successful status reporting. Another really important thing for good status reporting practices is regularity. Writing an employee report daily is not really necessary. On the other hand, only updating status reports quarterly is a bit too long. Many good reporting practices use either a weekly or monthly model to find that happy medium. We recommend going for weekly, as more frequent updates can really help keep everyone up to speed. With all of that known, why not implement a status reporting practice in your team or organization right now? We offer the status reports tool from Weekdone as an option if you really want to use the world's best practices in weekly reporting. Sign up here. Remember to follow us on Twitter, Google+ and Facebook for all about status reporting, status report, status reports and more! We're also on LinkedIn and Slideshare, posting about Progress Reporting & Team Status Updates. Subscribe to our Leadership Academy newsletter on building great companies for more tips about Progress Reporting & Team Status Updates. 23,300 awesome subscribers.